Samuel Estreicher proposes greater flexibility in legal education and training. To some critics, it might seem as if Samuel Estreicher, Dwight D. Opperman Professor of Law, is trying to put himself out of a job. The labor and employment law expert made waves in the legal community last January when he published a New York Times op-ed, co-authored with Northwestern University School of Law Dean Daniel Rodriguez, suggesting that law students should be allowed to take the bar exam after two years of legal education. In the piece, “Make Law Schools Earn a Third Year,” Estreicher and Rodriguez argue that increases in the cost of law school, coupled with decreasing numbers of high-paying firm jobs, demand greater flexibility in the training of practitioners. The op-ed, which was based on an article Estreicher wrote for the NYU Journal of Legislation and Public Policy (JLPP), appeared on the same day that NYU Law held a lively public discussion of the two-year proposal. Law school debt, as Estreicher explained at the forum, limits most graduates’ career choices. For those interested in less lucrative public interest jobs who do not have access to a generous loan repayment assistance program like NYU Law’s, paying one-third less tuition might make sense. Estreicher stated that law schools should be free to offer three years of instruction, which is likely to remain the choice for many students. The key is to remove a legal requirement of the third year. Just having the option will not only help certain students but also create incentive for law schools to make the third year more relevant to students’ needs upon graduation. Estreicher’s proposal is firmly rooted in a longstanding academic debate. His JLPP piece traced the history of the three-year requirement in New York State to a 1911 rule created by the NY Court of Appeals. In the 1970s, two prominent reports supported a two-year curriculum, but law schools opposed a proposal to revise American Bar Association accreditation standards. With the financial recession causing upheaval in the legal profession, however, outside-the-box thinking is back in the zeitgeist. Last fall, NYU Law announced changes that give students the ability to use the third year as a transition to practice, including a specially designed study-and-practice-abroad semester in Buenos Aires, Paris, or Shanghai; a semester of study and government agency fieldwork in Washington, DC; specialized skill development in one of eight legal areas; and special instruction in business and financial literacy and leadership skills. And in February, the ABA’s Task Force on the Future of Legal Education held a public hearing. Many lawyers and students testified in support of a two-year option, along with training for limited-license legal technicians who are not lawyers but have more responsibility than paralegals (Washington State is already developing such a program). Even those who were slow to embrace the idea are coming around. 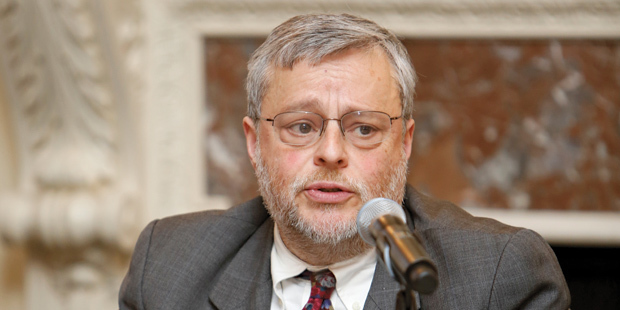 Stephen Gillers ’68, Elihu Root Professor of Law, raised concerns at the January forum about whether state bar associations would recognize two-year graduates from New York and whether those graduates would have a disadvantage in competing for jobs. But in March, both Gillers and Estreicher signed an open letter to the ABA task force that was discussed in the Wall Street Journal’s Law Blog. The missive supported, among other measures, “awarding the basic professional degree after two years, while leaving the third year as an elective or an internship.” Fellow NYU Law professors Anthony Amsterdam, Norman Dorsen, Richard Epstein, Helen Hershkoff, Arthur Miller, and Burt Neuborne also signed on, as did Judge Richard Posner of the US Court of Appeals for the Seventh Circuit.